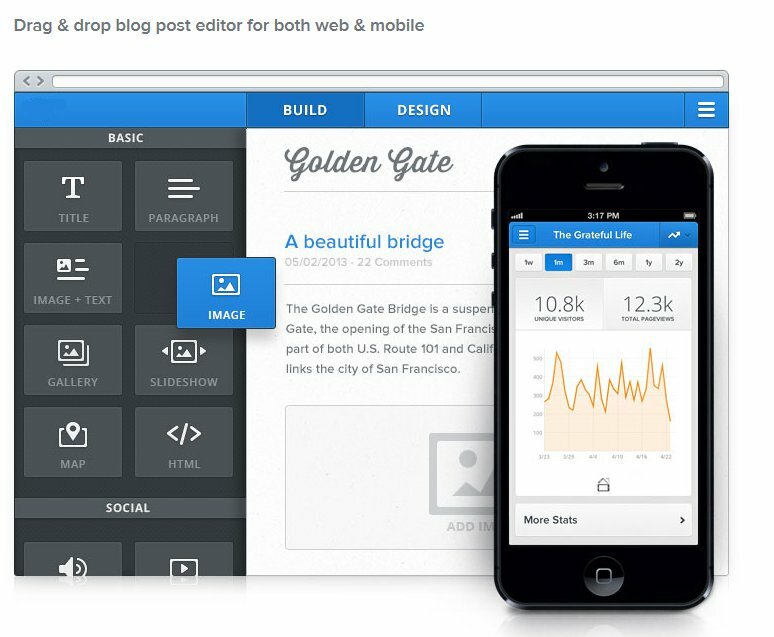 Easy, quick and fun, just add new posts to your blog using a drop and drag interface. It's simple to include photo galleries, videos, audio clips and other widgets. You can choose to make the blog your website's homepage, a sub-page in the menu or even include multiple blogs on the same website.